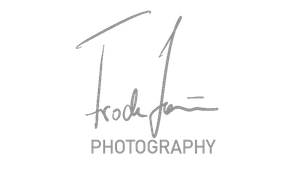 I’m a photography enthusiast based in Trondheim, Norway, and this site and its content is my hobby and occasional job. In my daily job I work as a communication manager at the biggest university in Norway. I’ve always enjoyed taking pictures, sometimes borrowing the family camera without permission as a kid. Nowadays I look for lines and symmetry, but I often get caught up in beautiful light and sceneries. From my years as a music critic and promoter I have a massive portfolio of photos from live shows and concerts. More recently I’ve experimented with urban sceneries and cityscapes with my camera and iPhone. I’m also beginning to explore a newly found interest in film and have on occasions used drones. In 2017 I switched from Canon to Fujifilm as my main camera and I really love my little buddy that is always with me! My near future as a photographer is surely with Fujifilm. I would like to shoot more photos with a drone, but I have to save up the money first (help me out by buying something..!)! You can see some of my portfolio here on my website and you can buy some of my photos here. But remember: If you see a photo you like, that’s not in the shop, you can always pop me an email and I will make something happen! The same goes for different sizes. I just don’t have the time to regularly update the shop.